Gardening marketers are always getting their pants in a bunch over whether enough new people are picking up the torch and continuing gardening, and initiatives aimed at getting young people to garden abound. Of course, from my own experience I can say that gardening as a hobby evolves over time. As we age, we shouldn’t be too eager to foist our own idea of a good time on people who are simply in a different time of their lives. If you don’t own your own home, have disposable income, or have much spare time during the day while the sun is still shining, then the type of gardening you do will naturally look a little different during this phase of life – and the advice you’ll be interested in will be different as well. Nobody understands this better than Dee Nash, the author of The 20-30 Something Garden Guide. Dee has raised four children, two of whom are 20-30 somethings themselves, and she remembers well the days of working full-time in an office and then coming home and squeezing in a half-hour of gardening in between caring for the kids. Her new book shares a friendly approach to gardening that is practical for people on a variety of budgets, shares simple and up-to-date information on smart/ eco gardening practices such as avoiding BPA-containing products around your edibles, and generally walks new gardeners through their first few years of gardening. I met Dee two years ago and loved her laid-back, relaxed spirit around gardening. 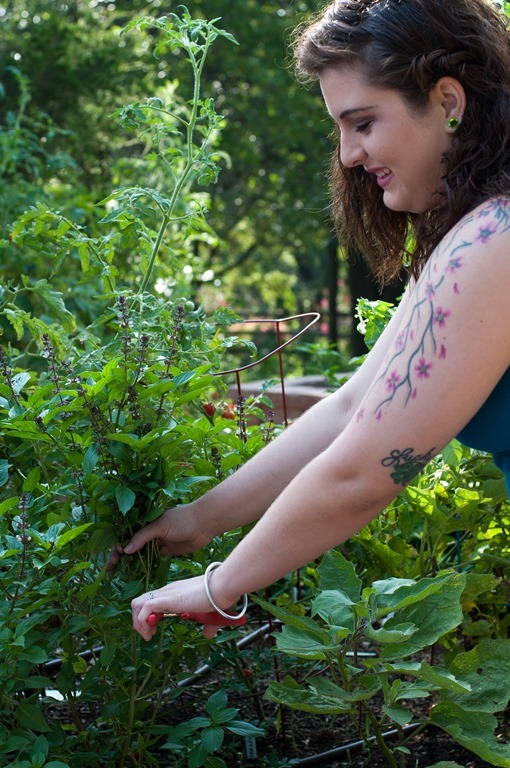 She’s not a perfectionist, not a professional, and the heart of what she is trying to share is that you don’t have to be these things either in order to grow your own food, attract wildlife and benefit the earth, and enjoy a hobby that keeps you active, eating healthy foods, and in touch with the seasons and your surroundings. The book has vegetable garden design plans (including some for patios), tips about pest control (it’s about supporting the natural cycles in the garden and not killing things like spiders which help keep pests in check), and ideas for deterring garden thieves when gardening in the front yard (try using a visual distraction by mixing obvious edibles like tomatoes and lettuces among ornamentals or edibles which are less obvious, like currents, huckleberries, and other woody plants). But my favorite element is really just the encouraging tone with which Dee shares a lifetime of gardeners tips and tricks for getting started. While I wouldn’t bother getting a book like this for someone who is entirely disinterested in gardening, we all know a few 20-30 somethings who seem to crave that connection with the outdoors, have strong ideas about the environment or healthy eating, and would love some help in making sure that their first efforts were satisfying and successful. This would make a great book to get as a gift for that second-year college student or young graduate who’s just gotten their first apartment with a patio. Photo credit: Photos of Dee’s neighbor Kalan O’Dell used with permission of Dee Nash. Wow! How much do I need that book? We just moved into a new house with lots of yard and NO garden. And I have no idea where to start!! Must get that book! That gift certificate would certainly be helpful – having just bought the house, money is not free-flowing so building up the garden will take awhile 🙂 And those watering cans are lovely! Perfect! This giveaway is awesome! Thanks for teaming up with Dee! She has helped me through my newbie gardening over the past year or so and she’s a great person! Thanks to Dee for helping inspire our future. All those buds out there getting ready to go inspire me for my upcoming annual trip to Annie’s. Great giveaway. Can’t wait to read the book. Please count me in. Great giveaway. Always looking to expand my garden book library. I really like your blog and I also really like the sound of this book. She sounds like a very wise mother. Thank you for the opportunity to win. I appreciate the offer. Annie’s offerings are a welcome deviation from the norm. Learning new tips & tricks for our gardens is always fun! Many thanks for all of the great information! Annie’s is a lovely spot to learn and shop. How exciting! Hope I win! Love Annie’s Annuals! What’s better than reading about gardening on a soggy day? Deciding how to spend a gift certificate for that garden! What fun. Thanks for a great blog. The book is a great gift idea for nieces and nephews. And an Annie’s gift card is always appreciated. My son is getting married in March and his fiancee’ is interested in gardening so Dee’s book will be one of my gifts to them. I’ve enjoyed your articles, look forward to more and in hopes of starting and maintaining my garden and keeping it around longer. I read your blog and Dee’s. Thanks for doing this giveaway! I love Annie’s. Also, your article about pruning grasses was so helpful. Thank you, I have learned a lot from your blog. Sounds like an interesting book, and I’ve been meaning to do something about my Annie’s wishlist. Now that we finally have some rain, I’m ready to start planting! Thanks for this offer. And I look forward to reading the book. What a fantastic idea! A ‘blog party’ is a great way to get gardeners together and discover all the wonderful bloggers out there in the world of horticultural geekiness! I just ordered Annie’s new catalog! Yeah! Love the garden blog party idea! Thanks for letting me enter the contest! Sounds like a wonderful book! I’d love to read it! This is a great party! I have been reading down thru your posts. Wonderful with great information…and i just subscribed to follow you via email! I just got Dee’s book. 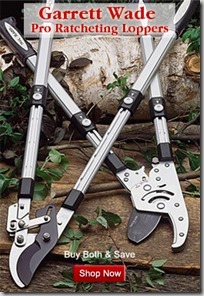 It is the perfect thing to recommend to the clients after I design and install their gardens.! I love helping my young professional clients get their hands dirty!!! I love the sleek designs of those watering cans! How cool! This blog hop is such great fun! Thanks so much for the opportunity to meet you. I subscribed for your emails! I’ve been following Dee’s blog and FB posts for several years. She knows her stuff. I’m excited for her book. I’m new to your blog and I like it. Happy gardening. Thanks for the opportunity for a give-a-way. Love Annie’s Annuals and those watering cans. I am so happy to see Dee has published her first book. Very fun to find all these blogs. Dee does such a great job of teaching gardening. How awesome that she has a book! “Meditation” gave me goosebumps. That’s exactly what gardening is for me. What a generous giveaway! The book sounds just up my alley. Thanks so much for hosting this chance to win! The watering cans are cute, and I love that they are made of recycled materials. Cool! Loved visiting your blog today and would adore those watering cans. Sounds like the book isn’t just for the 20s to 3os. Just like north coast gardening isn’t just for California. 60 something on a nw island. I know it has *nothing* to do with the book, but I love the woman’s tat on her left arm (in one of the photos). 🙂 And what a great idea for a book. I have plenty of friends in the 20-30 age range, so this will be a great gift idea. Thanks Gen! Love this, and will totally share with my 20-something, new to gardening niece! We need something to look forward to, here in Chicago where the snow just keeps coming! Wow! would I love this wonderful giveaway…Annie’s..&…Watercans!!! Thanks for sharing the Gardening Guide with us! Great giveaway and great idea to check out other bloggers. The book looks good! What a lovely giveaway. 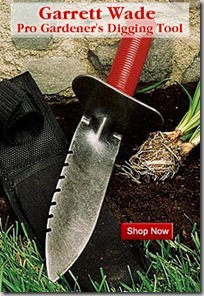 I can hardly wait to get out in the garden this spring. Fun! A blog party for what looks like a great read for the likes of me 20-30 year olds…and more. Giveaways too, yes please! I could use some help paying for my plant addiction and I always need more watering cans. Please enter me in the giveaway! I am enjoying this list of blogs immensely!!!!!!!!! New bookmarks! It is lovely to meet you and see your garden. I have known Dee for many years and she does have a wealth of knowledge to share. What fun! I’m learning so much from your posts! Thanks for the opportunity. Can’t wait for spring! I met Dee via Twitter about a year ago. 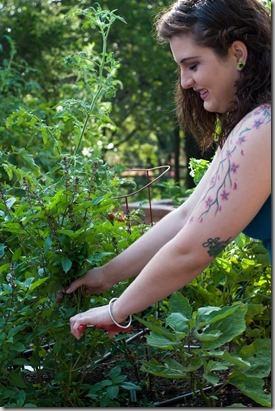 She has been so very encouraging and inspiring to me as I attempt to grow veggies with my kids. Thanks for being part of her giveaway! Would love to try some of those Annie’s annuals! Thanks for the giveaway, and the review of the book, sounds like a great one! Love that book idea and those watering cans are beautiful! Congratulations to Dee! Would love to win this package! Please include me in your giveaway, too. It would sure be fun deciding how to spend that $50 gift card & the watering cans would be very useful! Thanks! Those watering cans are super cute! I would love to have them! I’ve just started reading Dee’s book and it really is a wonderful collection of ideas and support for beginning gardeners…and also has lots of good information for those of us who have been gardening for a while! Great giveaways!!!! Can’t wait to get the book. containers are set outside, compost is in the process of getting there and all I need now are seeds and a watering can, even better if it is recycled. Thanks! I would love to have this book, to give to my daughter. She wants to build her garden and needs a sime no-nonsense guide. Glad to see lots of folks signing up for this contest–it’s lovely of you to support Dee and her new book! Love those watering cans! Thanks for the giveaway! Plants and watering cans! What a great gift combo – thanks for sponsoring this prize! I love the idea of this party! And the prizes which I would love. I confess I didn’t do much gardening when my five children (all born within 6 years) were young, but once you’ve planted a few marigolds, you can never stop. Now I am at an age where I know have to to downsize. Shrubs! 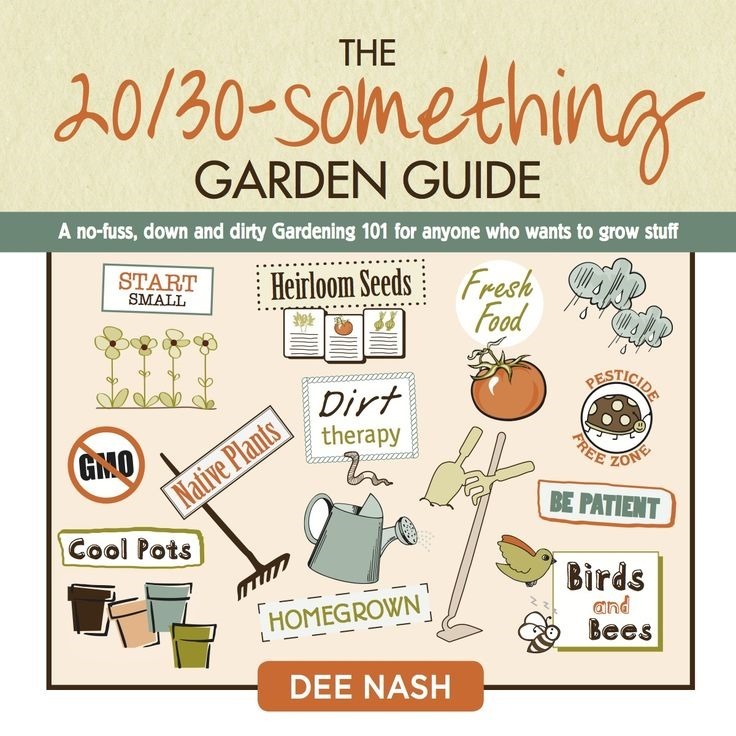 This 20-something gardener is eagerly awaiting the arrival of Dee Nash’s book – couldn’t resist ordering it on Amazon as soon as I read about it. And what better way to celebrate than doing this fun giveaway? Thank you and all the other garden-bloggers who are participating! Great giveaway! I have been meaning to go to Annie’s Annuals. You mean Keira my granddaughter has a watering can named after her already? When she was here last we did spend lots of time watering the garden cause she loved the sprayer. What a terrific sounding book! I have a few 20-30 something relatives who could latch onto some of her helpful sounding tips. And of course, Annie’s Annuals has been a significant contributor to my already crowded (but still lovely) yard, so why not comment?! Thanks for the article! how fun and such a great way to introduce all these great gardening blogs! I would love to give this book to my daughter, and would particularly like the watering cans for myself! Can’t wait to read Dee’s book! My husband and I both love to garden – so to our surprise we had a son who couldn’t care less! But now that he’s entering his mid 20’s he’s showing some interest – you never know. Thank you for the giveaway! I LOVE my book from Dee, I’m only about a fourth of the way through it, but it is perfect! I’d love to win some waterers or a gift certificate. I’ve read about Dee’s book on her blog before it was even published and am so happy for her. But this is the best review I’ve seen so far, Genevieve! It’s so true that our priorities change as we age–I really didn’t even get into gardening until I retired and had lots of free time. Dee’s approach sounds perfect for the young gardener. I’m supposed to be sowing seeds right now, and instead I’ve joined this incredible gardening book party. I’m having so much fun visiting and learning new gardening blogs. I’m sure the book will be helpful, this is my second year trying flowers. I made all my mistakes last year, just to get them out of the way you understand, ahem, now I can have a stellar year this year! Annie’s has the best plants, I pray I win. Such a fun giveaway! Since I am planning on establishing some new flower beds this spring, I could use all of the help I can get! I am excited to get started!! What a great idea for a book launch! Thanks for the opportunity to share in the fun. I’d LOVE a gift certificate from Annie’s Annuals! Would love to win these amazing gifts.absolutely love Annie’s moo poo teas. Now if this snow would go away and warm up so I can get to planting and fertilizing with her teas. Love gardening and large veggie gardens and many flower gardens. Oooh, Annie’s Annuals! My wish list is so long! I would love both the prizes, Thanks for the offer. They both look like great gifts. I have been dying to get my hands on her new book once I saw it on Amazon the other day! It’s great you are helping her promote it! Looking about for some blogs to refer my students to. Thanks for the wonderful give-away! I agree with the other comment that this is a great way to be introduced to new blogs. I hope I’m not too late to enter.